Summertime is finally here, and it’s time for kids to get outdoors and soak up the sun (after slathering on sunscreen, of course). Whether it’s biking, splashing in the pool or playing hide-and-seek until sunset, there’s no such thing as too much time outside, right? And outdoor fun doesn’t need to end when the sun goes down. Luckily, there are plenty of glowing nighttime games and activities that are just as fun for adults as they are for kids. So this summer, get your glow on with your own (totally kid-approved) backyard party/picnic/campout/rave. Here are all the summer-night activities you could ask for. 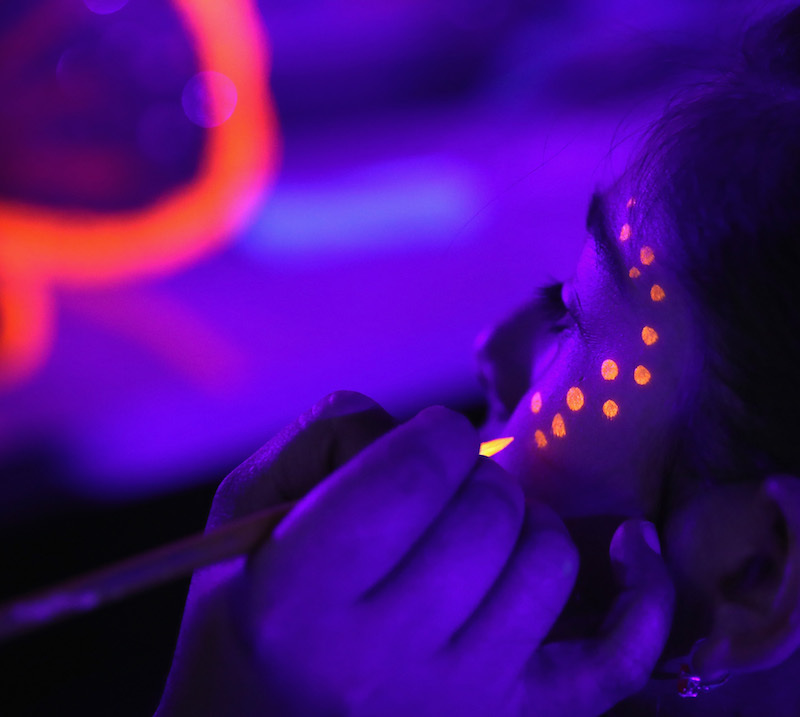 Set the stage for a glowy and gorgeous evening with glow-in-the-dark or black-light-reactive face paint, like this option from Midnight Glo. This is a particularly big hit with teens. This combination of hide-and-seek and tag is a classic summer tradition that kids will love. 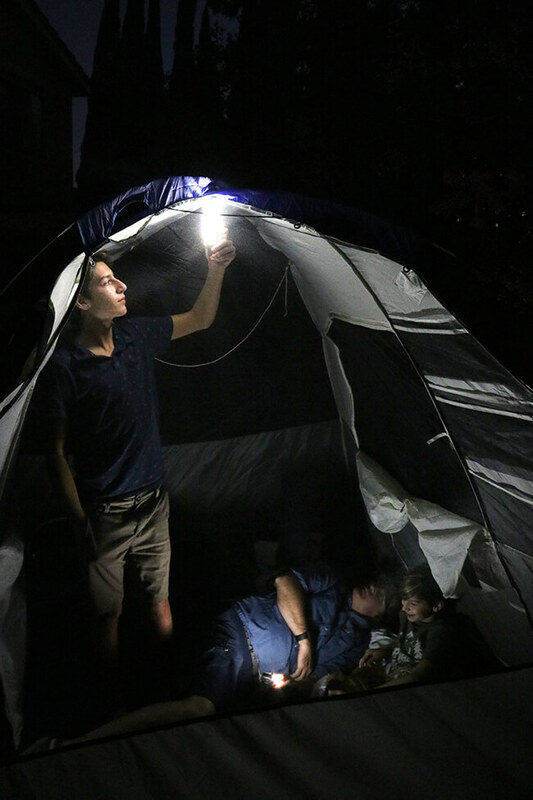 If you live in a neighborhood with other families, invite them over to your backyard for a BYOF (bring your own flashlight) party — the more the merrier! Last one to be found wins (and gets bragging rights until the next round of flashlight tag). Who needs bowling alleys when you’ve got glow sticks and water bottles? 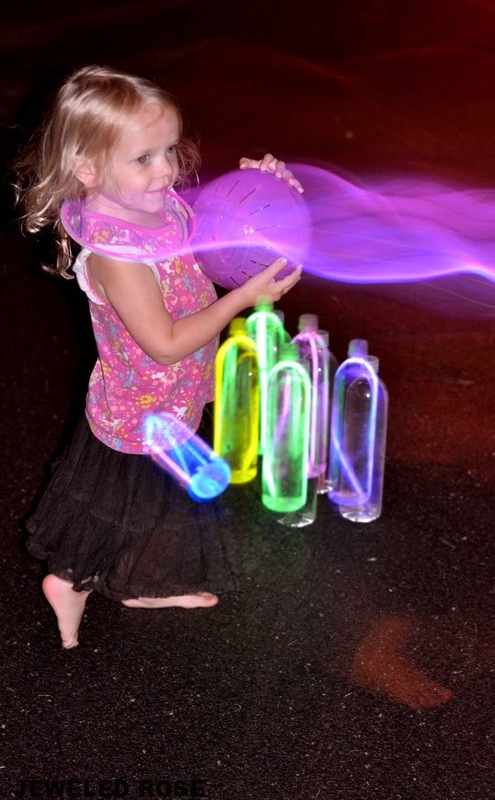 Recycle your plastic water bottles in the most fun way possible by filling each with a different colored glow stick. Then grab basketballs or soccer balls and use them as bowling balls to (hopefully) get plenty of strikes and spares. Light up the night with glow-in-the-dark sports balls. Whether it’s in your backyard or your local park, play a game (or five) of flag football or soccer in the dark. 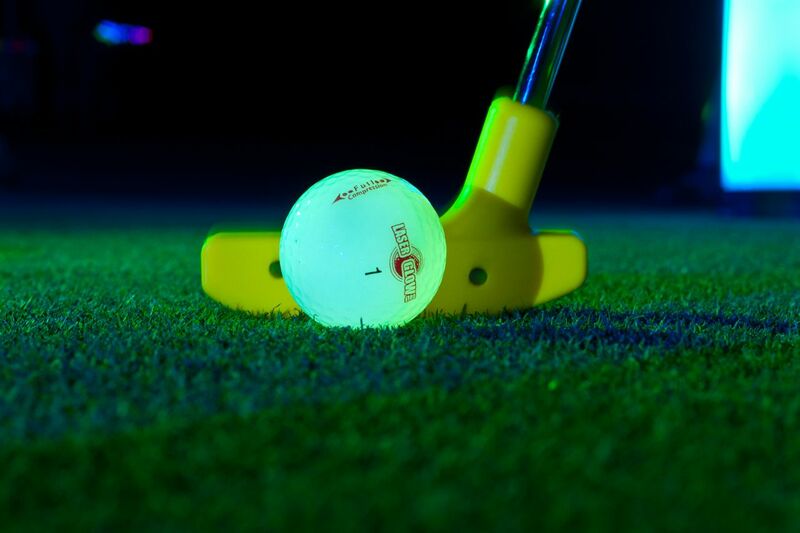 If you can find a good spot, try a round of mini golf with glow-in-the-dark golf balls — it’ll be almost as fun for the kids as it is for the adults. When the temperature inevitably gets unbearably hot this summer, there’s only one solution: Throw on your bathing suits, fill up a whole bunch of water balloons and have an epic battle of water wars. Whoever drenches their opponent the most wins — but the losing player gets to cool off, so really everyone’s a winner here. Once kids have burned off some energy with all those water fights and yard raves, take it down a notch with some fun glow-in-the-dark crafts for all ages. 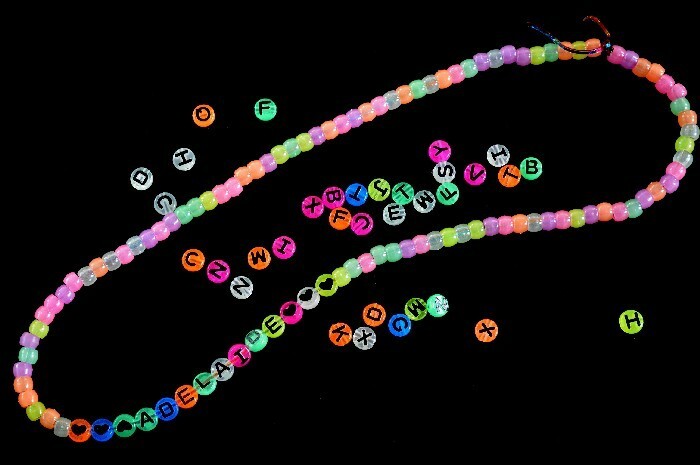 These ideas for glow-in-the-dark necklaces and tote bags are definite winners. If you or one of your neighbors has a pool, take full advantage on those hot summer nights. Bring out the computer or iPad and enjoy family movie night from the pool as you float on rafts and cool off. If a pool isn’t available, you can set up some comfy chairs outside and use a wall or garage door to project a movie. Teach your kids about the constellations by showing them firsthand. A quick internet search will show you when your favorite stars will be out in clear skies. 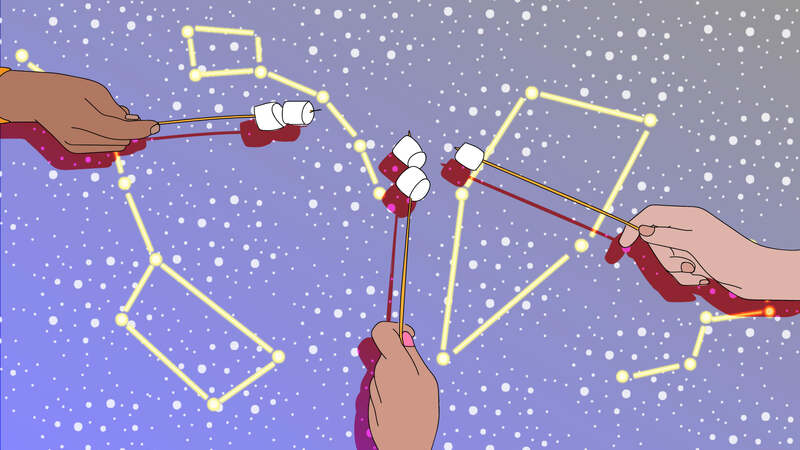 Take a picnic blanket and some tasty snacks outside (or all the way outside the city), and look up to the sky with your kids to show them your favorite constellations. Who says picnics are only for the daytime? 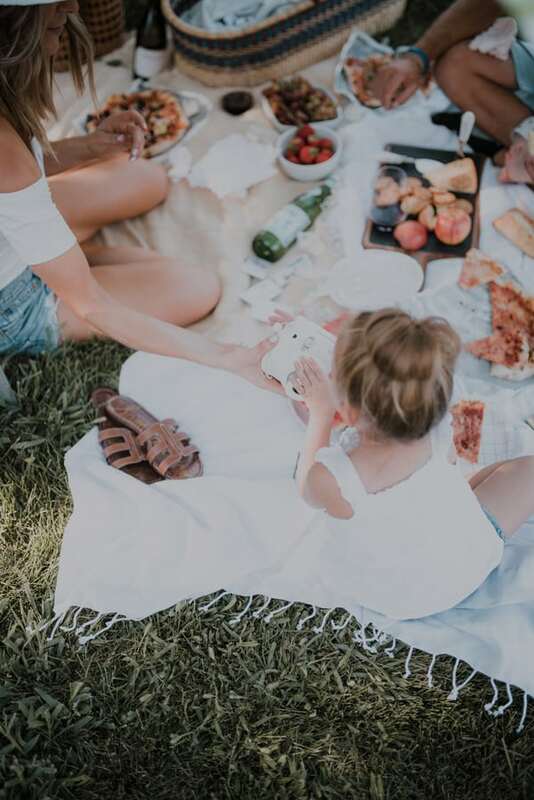 On a hot summer night, spare yourself the added heat of the stove and put together a meal of no-cook foods like delicious sandwiches, fresh fruit salad, veggies and dip, lemonade and ice cream. Sometimes, the best family activities are the quiet, relaxing ones. Make a campfire in your backyard (don’t forget the s’mores fixings) and spend some quality time together sharing stories, playing your favorite card or board game and just enjoying each other’s company.